First Floor 963 sq. ft.
Lower Level 36 sq. ft. Depth 23 ft. 0 in. Approx. Height 28 ft. 6 in. 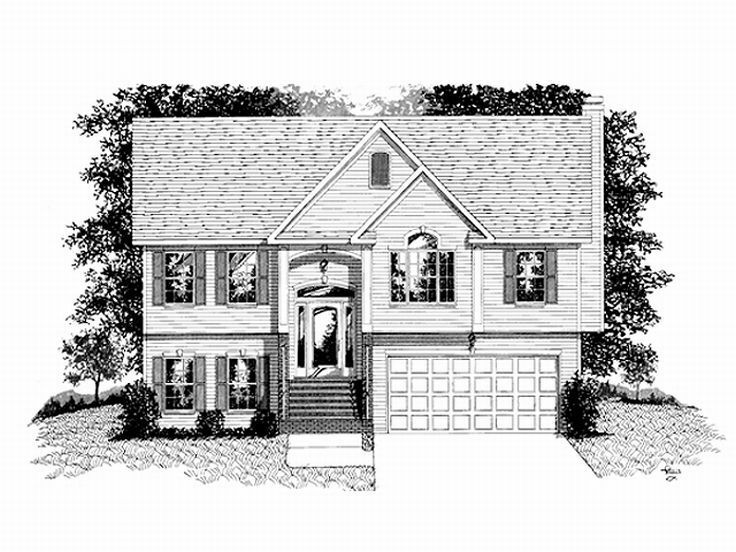 Suited for a narrow lot, this exceptional split-foyer home plan blends a rare mixture of luxury and economy. 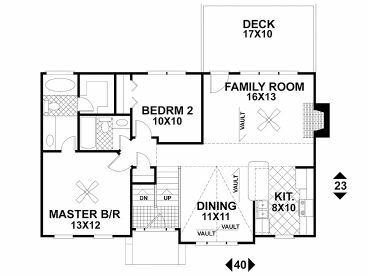 Careful design provides thoughtful extras while remaining a compact and economical 999 square feet. The glass door with sidelights and an arched transom brighten the dramatic entry. A vaulted family room, dining room and kitchen combine providing a feeling of spaciousness. The family room is accented with a fireplace, triple window unit and a French door leading to the sunny deck. A breakfast bar and an abundance of cabinets highlight of the corridor kitchen. 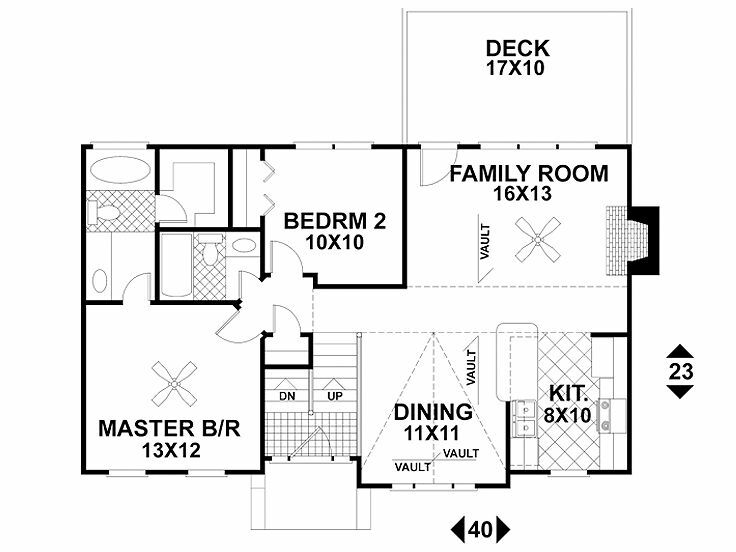 Your master bedroom enjoys a walk-in closet and large bath with a 5' vanity and garden tub. A second bedroom and bath complete the main level. 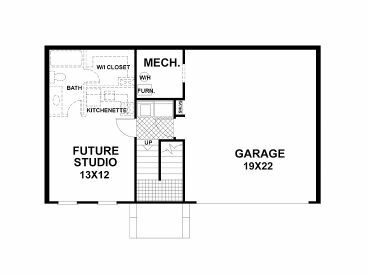 Along with the 2-car garage on the lower level, you will find the laundry area and a future studio. 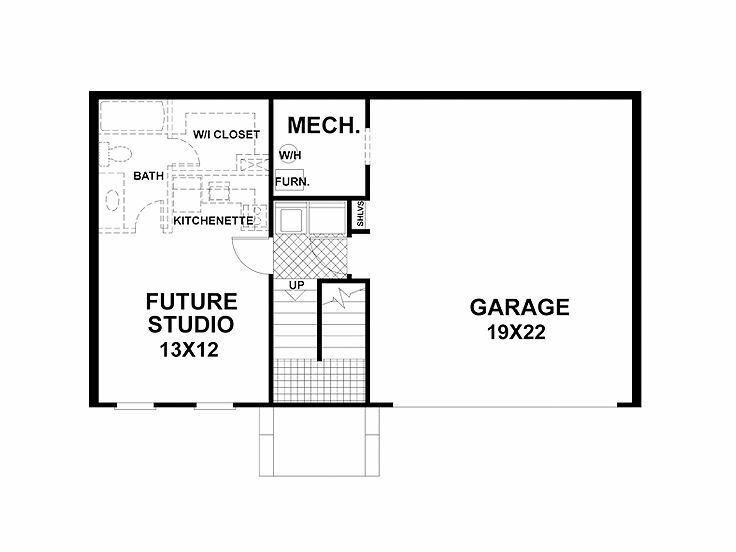 This expansion space may serve as a second master suite or apartment, and features a kitchenette. 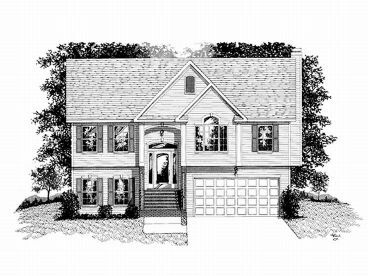 Sporting traditional style, this split-level ranch home plan is sure to suit your needs.